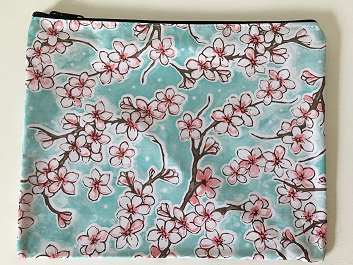 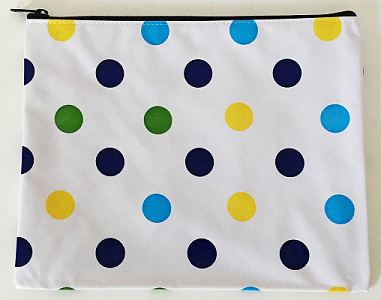 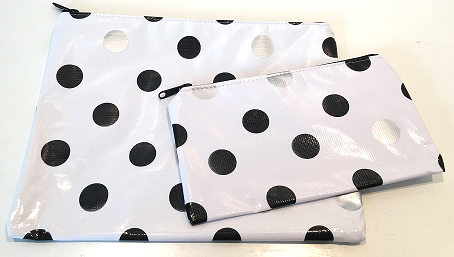 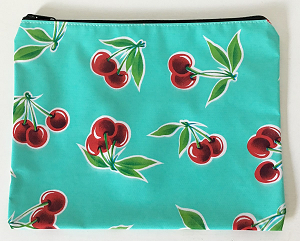 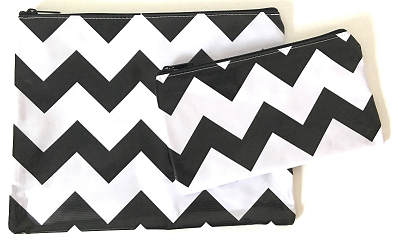 Our Medium Zip Pouch measures 11″wX6″t and the Large Zip Pouch measures 10″x13″, the exterior is oilcloth and it is lined with a complimentary oilcloth pattern to ensure it just wipes clean if anything spills inside. 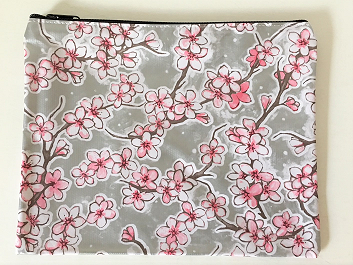 The Medium is commonly used for a clutch, medicine bag or pencil bag. 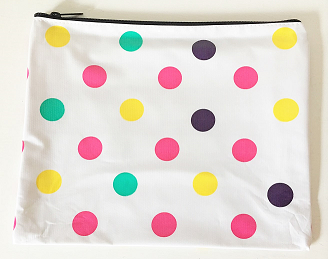 The Large is a great wet/dry bag, great for chargers/Ipads, toiletries, pool/beach necessities and more. 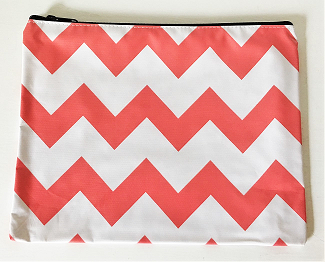 Make it personal by adding a name or monogram!